Huawei intended to set up a cybersecurity center in Poland to reinforce the public trust towards its telecommunication services and facilities. According to Reuters, Huawei intended to set up a cybersecurity center in Poland to reinforce the public trust towards its telecommunication services and facilities. Huawei’s act aimed at soothing the nerve of public concern and strengthen its reliability in Europe since recent news related to Huawei. As widely reported earlier, Huawei CFO MENG Wanzhou (孟晚舟)’s U.S.-Canada Extraction case and Polish Huawei ex-employees’ corruption scandal have aroused massive attention to Huawei. Huawei, as a smartphone brand and a company with solid 5G telecommunication technologies, has been standing in the center of a storm. After the 5G global standard setting was closed in 2016, the 5G network construction entered an accelerating state and along with question voices regarding Huawei. Numerous countries addressed cybersecurity concerns towards the employment of Huawei’s 5G solutions and facilities. Accounting on complex reasons and incentives, Australia, New Zealand, India, South Korea, and other countries refused or withdrew the 5G contracts with Huawei. As the U.S. did not take Huawei into consideration for building the domestic 5G network, Europe has become a major market for Huawei. 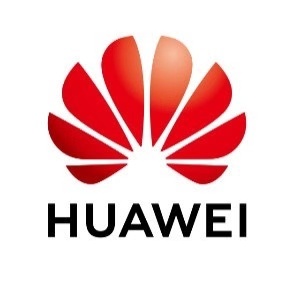 As Huawei released in January 2019, it has settled a total of 30 commercial contracts constituting of 18 from Europe, 9 from Middle-East, and 3 from Asia. Considering the number, Europe is a strategic and critical region for Huawei to expand its 5G map. Building a cybersecurity center in Poland is not only urged by current tense competition but also out of its own strategy. The business weight shifting from China-only to global demands Huawei to set up regional headquarters and operational centers. For telecommunication solution provider, cybersecurity is the most sensitive nerve for all countries. Beyond, Huawei is a smartphone brand and third largest smartphone company after Apple Inc. and Samsung. Countries that repelled and excluded Huawei 5G solutions also hold a question voices towards Huawei’ smartphone, though no evidence can prove that Huawei is guilty regarding all suspicions such as information leakage, spy activities or others. Nevertheless, the public was stirred up by come-from-nowhere suspicions. 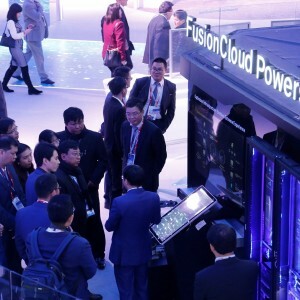 For whether the 5G line or smartphone line, the cybersecurity center can enable Huawei to be geologically closer to local and provide better services and solutions, especially cybersecurity-related problems and concerns. The Vice President for the European Region Abraham Liu (LIU Kang, 刘康) asserted that Huawei strictly complies to local laws and deliberately protects information and data security, and welcomes all parties to supervise Huawei in operation.